St Louis Restaurants – On March 28, 2014, we published an article titled “BBQ ASAP – the best BBQ in St Louis, MO.” We believed that then, but it has been supported. 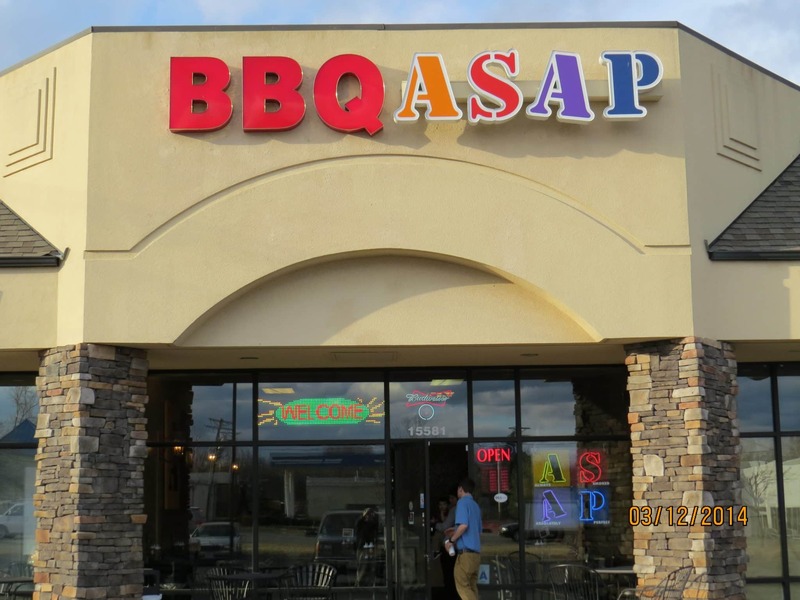 BBQ ASAP’s competition has stretched far outside of St. Louis boundaries again. While we have not visit with Jim or Mary Randall at this moment their facebook is announcing that they have won 4th Place in Whole Shoulder/Pulled Pork out of 56 competitors in the Memphis in May BBQ Contest, part of the Memphis in May, International Festival. What an honor for them, but it is also an honor to the city of St. Louis, MO to have an international championship BBQ winner in our city. This comes as no surprise to us! We first published in March that we believed BBQ ASAP to be the best BBQ in St. Louis, MO while we were apparently on track they were just voted 4th best in the world. CONGRATULATIONS! Apparently, my love for BBQ isn’t far off course having published that in March. We published that because we frequent BBQ ASAP and have become very familiar with Jim and Mary Randall. This couple takes their business very serious. Their long days, 7 days a week and their attention to detail projects their passion for their work. Nobody can take something as serious as they take this and not accomplish great things. There isn’t a family more deserving of such an honor than the Randall’s. Facebook give BBQ ASAP 4.4 Star, Google 4.0 Starts, and Urbanspoon 4 Star (81%). There is simply too much to say about this BBQ restaurant to fit it all in here. BBQ is not for everybody. I take after my late father who loved BBQ or just hot. The hotter the better. Wipe the sweat with one hand and eat with the other. I believe BBQ is an acquired taste. It isn’t for everybody, but the people that know BBQ just made their ruling – BBQ ASAP has the 4th best Pulled Pork in the world. However, their other BBQ items are just as great. Mary always has homemade side dishes and normally has some fantastic desserts. You have to stop in and try this place if you haven’t already done so. BBQ ASAP has some new upcoming announcements for the community. One, they have a new website that will be launched later this week and the rest of the news will be shared later. The competition season just started so I suspect this will not be the last or only news released by BBQ ASAP this year. Stay tuned! Update: BBQ ASAP won 2nd Place on the 2014 Wildwood BBQ Bash. Congratulations!